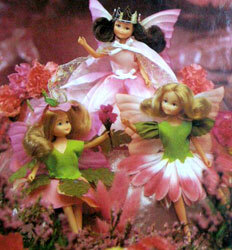 "Every Princess of the Flowers lives in a timeless place where wishes and dreams come true! 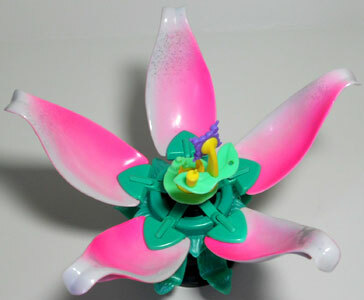 It's an enchanted garden where each magical flower holds a secret surprise inside." 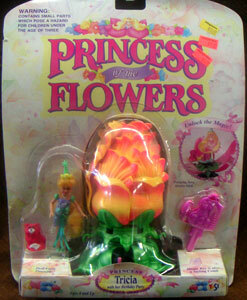 Princes of the Flowers were produced by Yes! 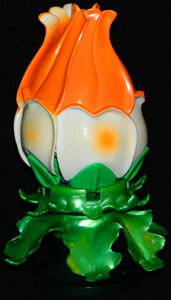 from 1992-95, and Europe by Ideal. 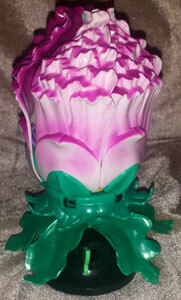 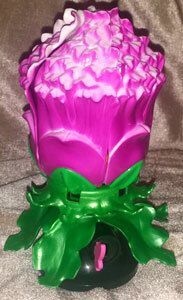 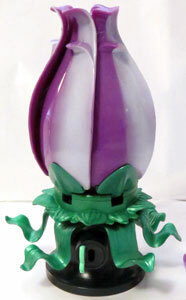 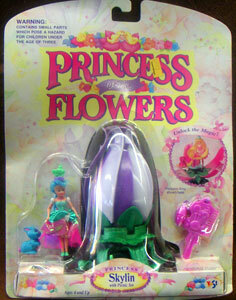 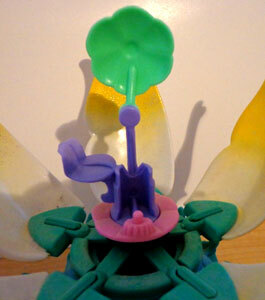 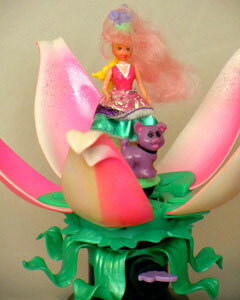 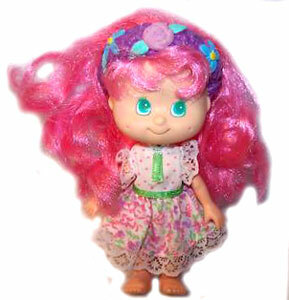 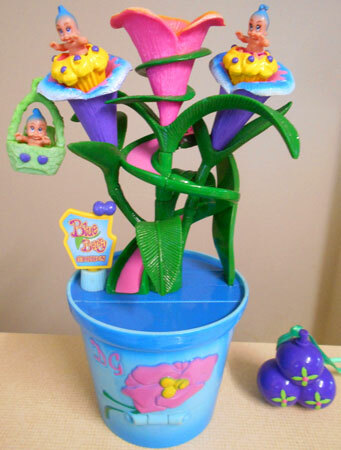 Each plastic flower opened up with special key to reveal a 3" poseable doll and small playset within. 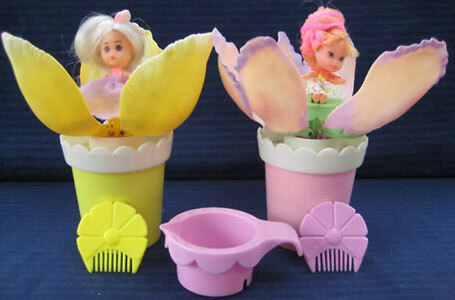 There was also a smaller series of baskets and at least two large playsets produced. 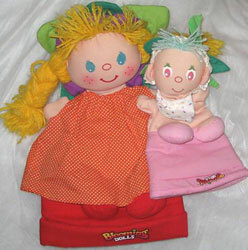 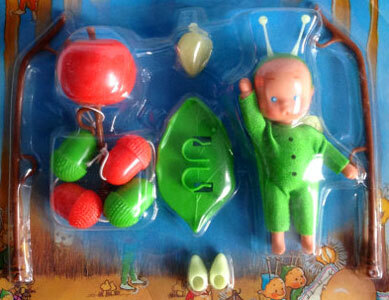 Some sets were also produced for sale in various European countries in colaboration with Lollipop and Ideal. 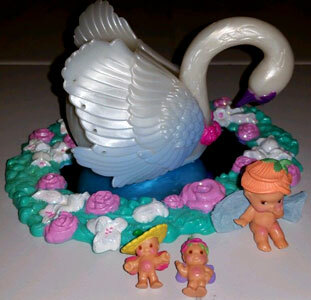 Images on this page thanks to Cobralily, Karen, Jenny & Kim, Tiffany, Julie, aquarius247 and eBay sellers rainbow*magic , Dennis-Collectibles-Dolls-And-Toys , jargrandantiques , thesharklady , jimncfurn , seppolina , tristatedollcollectors , sascotten , doggiebisket87 , carlab6665 , aliceinwonderland011, rainbow*magic, and sirknightkaden ! 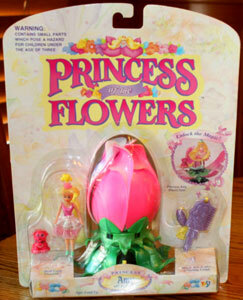 View all Princess of the Flowers on eBay.com or eBay.co.uk ! 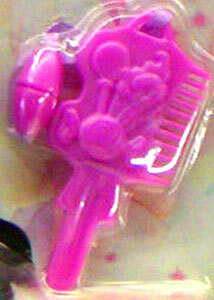 "WIth a turn of her special key the flower magically blossoms to reveal a beautiful princess in her own fantasy world!" 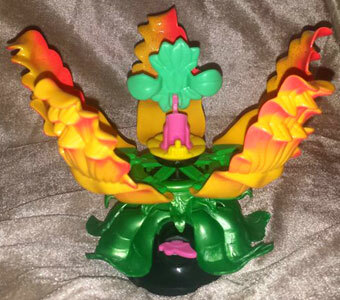 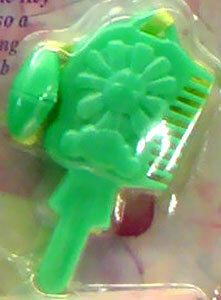 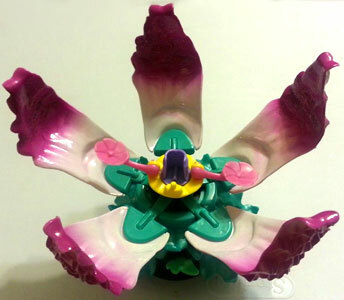 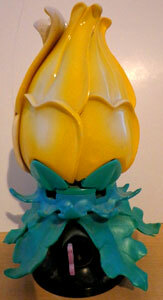 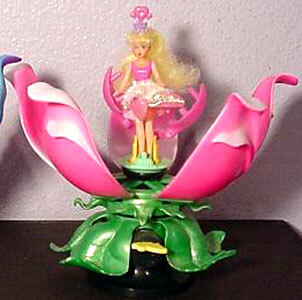 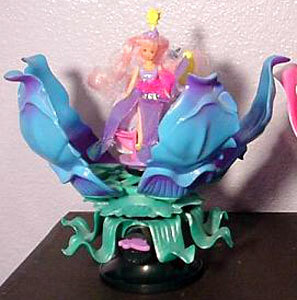 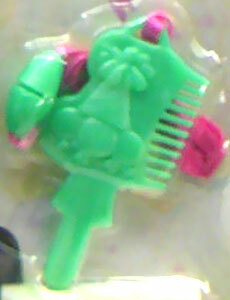 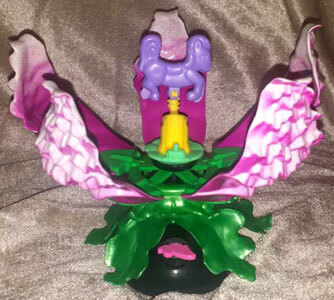 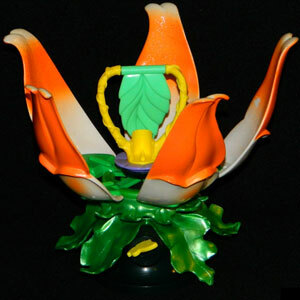 There were four different shaped flowers used amongst the twelve playsets, and six different comb designs. 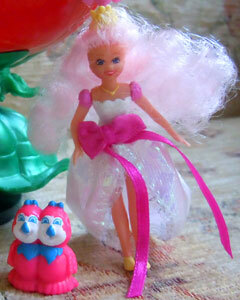 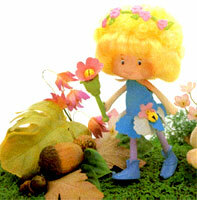 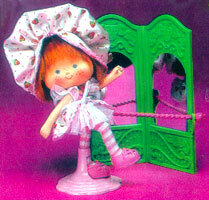 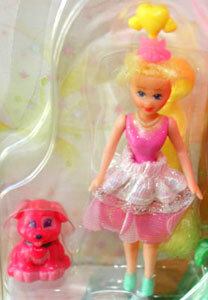 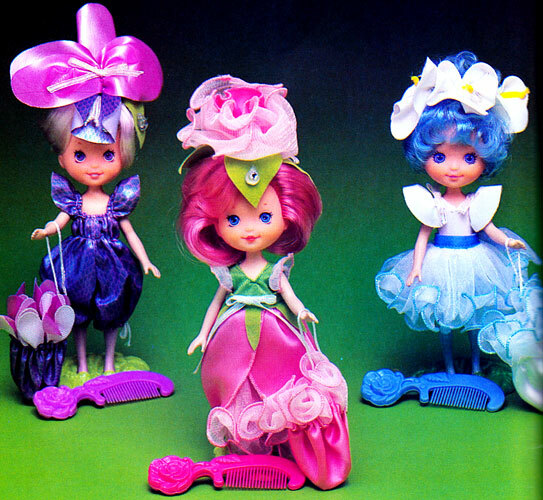 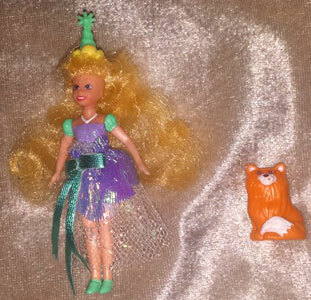 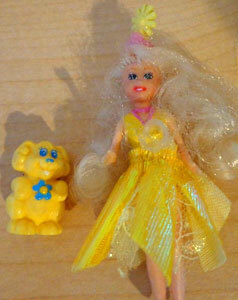 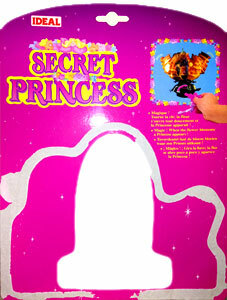 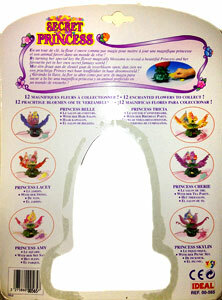 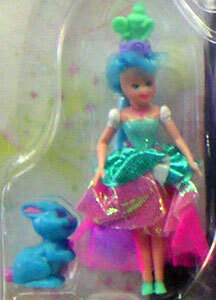 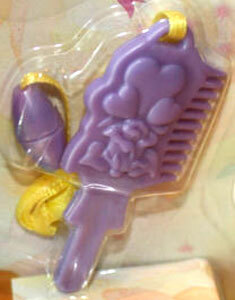 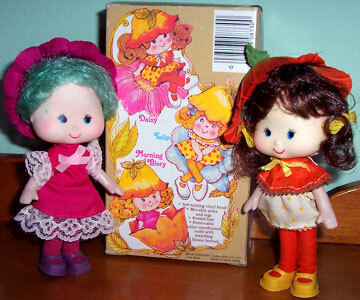 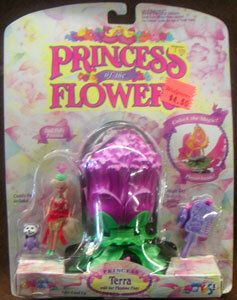 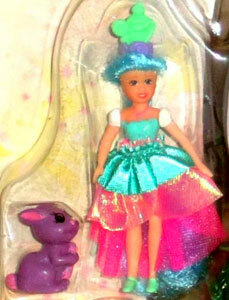 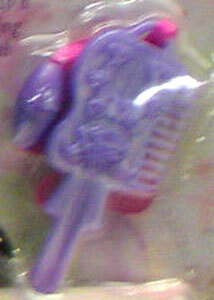 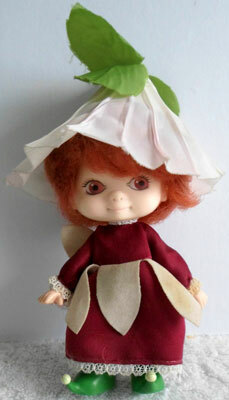 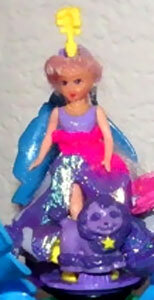 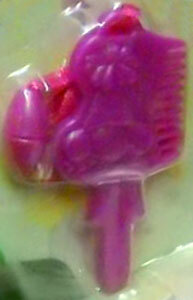 Each set came with the flower playset, a dressed doll with crown, a key and a pet. 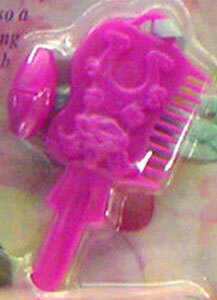 The keys doubled as combs and necklaces. 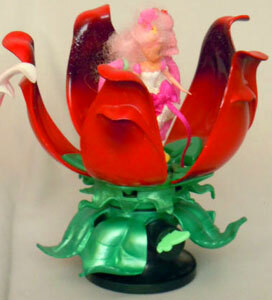 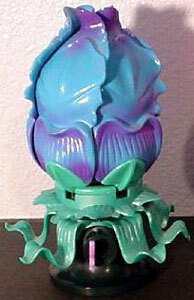 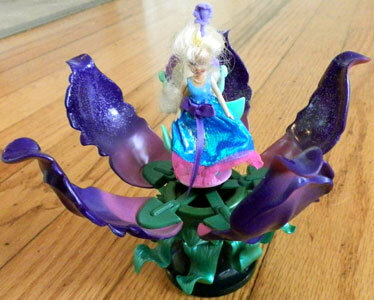 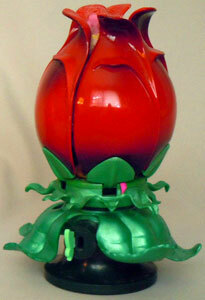 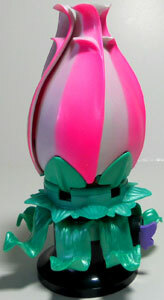 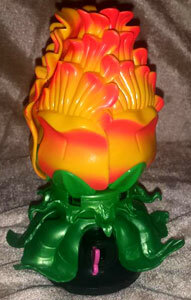 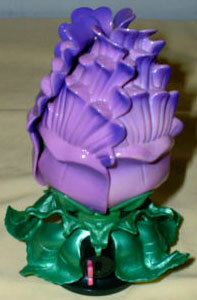 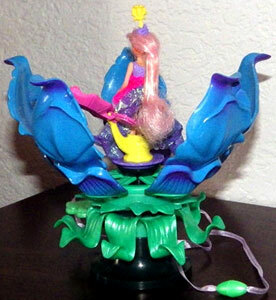 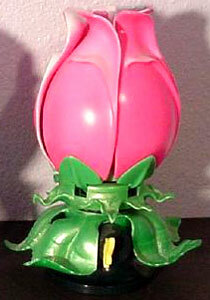 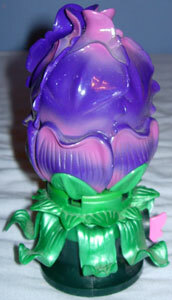 Most playsets had a two small colour variations, either the pets or a small part inside the flower. 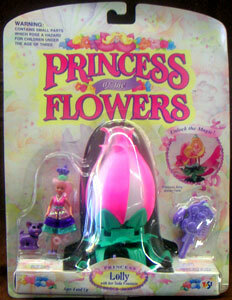 Princess Amy came with a see saw inside her flower, a pink puppy called Puppy Love and a purple key with hearts on matching the crown. 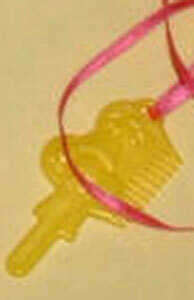 I've found two colour variations; yellow see-saw and crown and pink see-saw and crown. 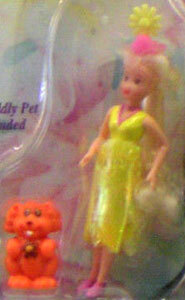 US and Euro packaging differed in design. 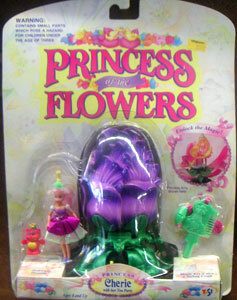 Princess Belle came with a hair salon inside her flower, a poodle called Fifi and a green key with stars and feathers on matching the crown. 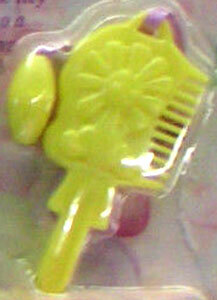 I've found two colour variations; yellow salon mirrors and pink salon mirrors. 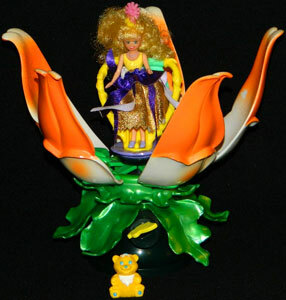 Princess Cherie came with a tea party inside her flower, a red teddy bear called Cupcake and a yellow or green key with a party hat on matching the crown. 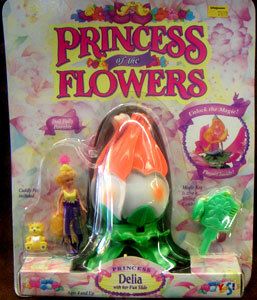 Princess Delia came with a fun slide inside her flower, a yellow teddy bear called Sunshine and a green key with a sun and cloud on matching the crown. 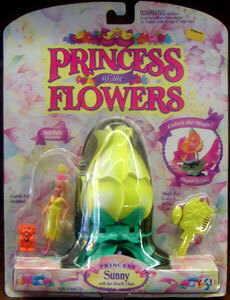 Princess Lacey came with a swing inside her flower, a pair of joined bright pink or light pink lovebirds (variations) called Lovey & Dovey, and a yellow key with hearts on matching the crown. 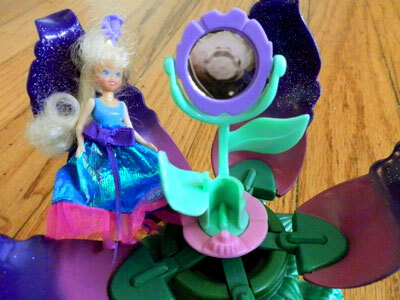 Princess Lolly came with a soda fountain inside her flower, a purple puppy called Moochie and a purple key with candy on matching the crown. 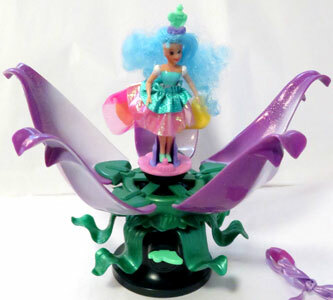 I've found two colour variations; purple flower on top of fountain and yellow flower on top of fountain. 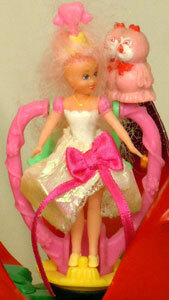 Princess Merrilee came with a merry-go-round inside her flower, an orange pony called Trixie and a pink key with horseshoe and flowers on matching the crown. 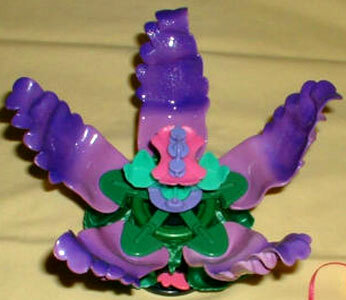 I've found two colour variations; purple merry-go-round petals and pink merry-go-round petals. 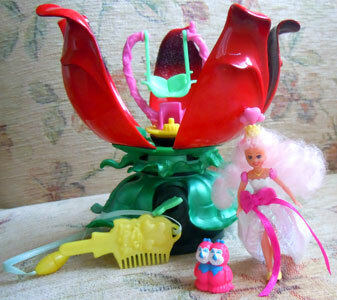 Princess Mira came with a vanity inside her flower, a blue kitty called Siam and a pink key with feathers and stars on matching the crown. 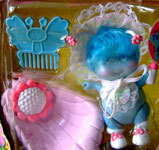 Princess Skylin came with a picnic inside her flower, a blue or pink bunny (variations) called Candy and a pink key with candy on matching the crown. 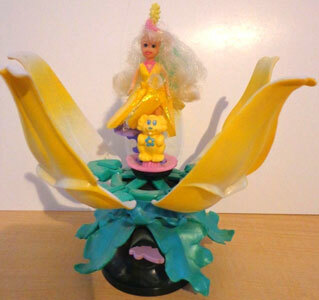 Princess Sunny came with a beach chair inside her flower, a yellow or orange puppy (variations) called Sandy and a yellow key with a sun and cloud on matching the crown. 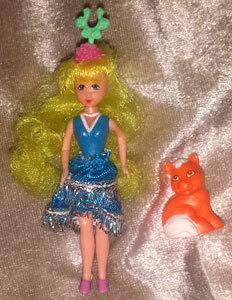 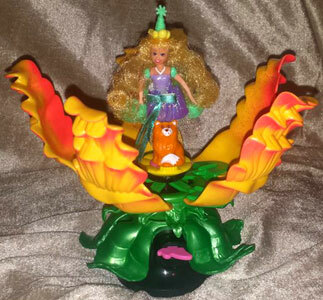 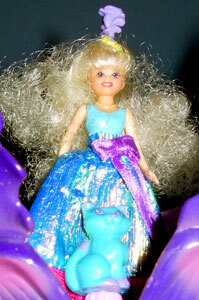 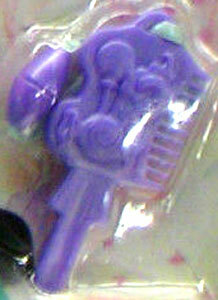 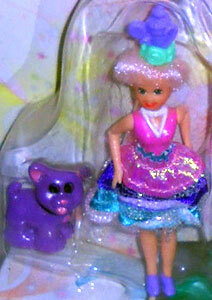 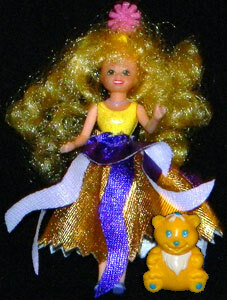 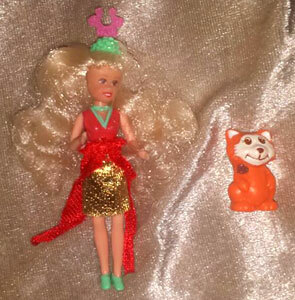 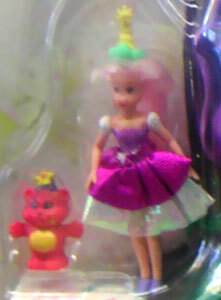 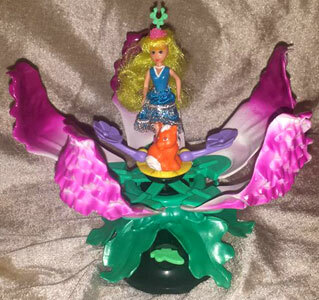 Princess Terra came with a pony inside her flower, a red or purple pet called Foxy (variations) and a purple key with horseshoe and flowers on matching the crown. 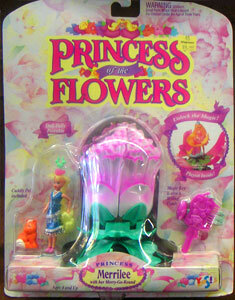 Princess Tricia came with a birthday party inside her flower, a red or orange (variations) kitty called Percy and a dark pink key with a party hat on matching the crown.